I went ahead and made an account several weeks ago with Bloglovin' when I started hearing about the demise of Google Reader. So far, I rather like it. I really like having all the daily posts for the blogs I follow emailed to me! That makes my life soooo much easier. There is also an App to put on my phone/ipod so I can keep tabs with posts on the go. I am definately loving Bloglovin' so far. 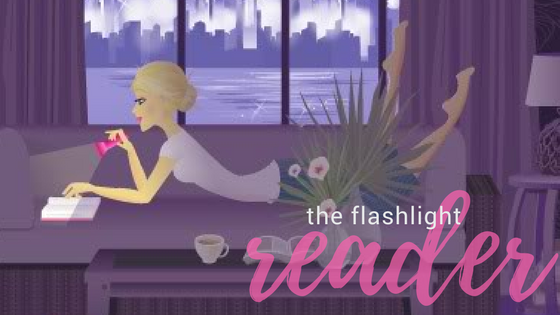 With that said, if you want to create an account and start following The Flashlight Reader (or other blogs) with Bloglovin', just click the button below. It's super easy and painless, I promise. Bloglovin' even transfers the blogs you currently have in your Google Reader to their program. Easy-peasy. I've been super busy with work lately, so I won't be participating in the event this year. (kinda bummed about that) But I will be participating in the giveaway hop. I love fairytales, so it was really hard to limit myself to a book that I thought was fitting for this adventure. This week we are reading pages 164-220. That's chapters 7-9 of part 2 in The Lost Girl. If you missed out on last week's discussion, you can view it HERE. As you read this week, think about this question: How do Alisha, Neil, Nikhil, and Sasha each respond to Eva? Why does Neil-- and later, the rest of the family-- choose to call Eva by her real name? For week 5, we will be finishing part 2 in The Lost Girl. I will post the discussion questions next Sunday, so check back then to post! Remember, you get 2 entries in the giveaway for every comment you leave on the blog, plus an additional 1 entry for posting on the Facebook page (LINK HERE). So don't be shy! It doesn't matter when you post either, just as long as it's before we finish the book.